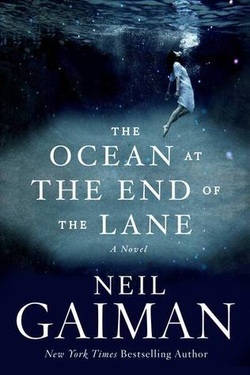 I honestly don't know what to say...it's not very often that I am speechless or don't have a specific opinion on literature but Ocean at the end of the Lane is....mind boggling. This book is so absolutely unique, and so utterly strange yet awesome that I am lost for words. I in no way can write a coherent review to someone that has not read this book, it is just too hard to express in words. This story just is, it just exists....it is a story in its purest form and left me bewildered and confused and exhilarated. The best comparison I can think of is Aesop's Fables....pure, innocent, beautiful, strange, unique are all words that come to mind. I know this review may seem a bit odd, but I truly believe once you read this book, you will understand what I mean. Pure storybook fantasy written in Gaiman's style, uniquely beautiful and genuinely innocent.